Don’t let this post put you off travelling anywhere, it is merely to help you prepare for travel and avoid scams. People in general are good and we received honest help and kindness everywhere we went. 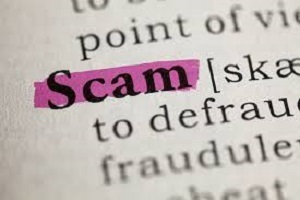 Most scams are harmless and you will just end up shelling out a few dollars or listening to people whine! Here are some interesting and sometimes dangerous tourist scams we learned about and encountered along the way. If you can at all, use public transport and rarely get a taxi, tuk-tuk, rickshaw etc. This goes for whatever part of the world you are in, including a city you aren’t so sure of in your home country! Never trust a taxi driver, if you must use one; barter like hell, stick to your guns, double check he has said the price back to you and that he will take you directly to your destination and not to his friend’s place (who happens to sell the best jewels in town….!) Some other scams feature all over the globe and wikivoyage has done a wonderful write-up on them. Well there are too many scams to count on all your fingers, I shall pop a few links to websites all about them underneath. However, I shall tell you about some we came across which could mean you lose out on more than just a few dollars and your dignity! Oh Manila! We met many lovely sweet, Filipino people but this is one city you really need to have your head screwed on for. If you are tired, talk to no-one until you have downed a huge coffee or got some shut eye! One dangerous scam is that a friendly Filipino will approach you and say they work at your hotel (they will know the name of it as they have been watching the hotels in the local area), they will bring you on a free tour of the city. This tour will take you down an alley where a gang will beat you up and take all your possessions. They usually leave your passport as they want you to leave the country and don’t want foreign embassies to get involved! Firstly I shall tell you of a funny scam we came across on Vagator beach, Goa! A man approached Phil, saying he spotted something in his ear, he makes it look like there are insects inside as says he has a special medicine to cure it, for a very special price lol! Believe or not, he approached Phil three times about this, he must think all white people look alike lol! Next, is a not so funny scam. Always ensure that any bottled water you buy is sealed. Some people, refill the water bottles with tap water and sell them on. This is why, all water bottles carry a label saying crush after use in India. If you are lucky, all you will get is a dodgy stomach but it could turn out much worse than this! The people doing this are desperate, truly desperate, don’t get mad at them just check your water bottles!